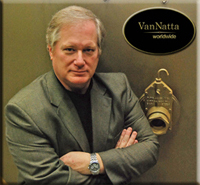 Hello, I'm Jim VanNatta. I started this company six years ago, with operations in Shelbyville, Indiana. Pegasus Energy Inc, a division of VanNatta Worldwide, was founded in response to our serious energy crisis, while keeping in mind the many issues regarding climate change and the need to protect our precious environment for generations to come. Our focus has been to find alternative sources of energy in order to overcome our dependence on foreign oil, as well as our use of environmentally damaging fuels to generate electricity. We have developed an extremely efficient system for destroying a variety of waste materials, with a small footprint, and capable of producing significant volumes of clean energy without putting any harmful emissions into the atmosphere. One important feature is our processing capacity. Depending on the model of vortex system, up to 8 tons per hour can be processed, more than 190 tons per day can be destroyed. 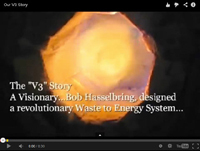 From the beginning, our goal was to create a technology so advanced in thermodynamics that it would be highly efficient, environmentally safe, and economically feasible for a true waste to energy process.